The holiday beer season is upon us. The orange and red leaves of fall are turning to brown and shedding from the trees. The temperature is falling more, and even Starbucks is starting to get sick of pumpkin spice which means it’s becoming winter time. Winter, like all the other seasons, conjures up an image we’re all familiar with: a lone log cabin sits out, nestled amongst robust pine trees. The entire landscape is covered in snow and a brilliant golden glow emanates from every window of the cabin while a thin trail of smoke lazily curls up from the stone chimney. Not only these sights, but the sounds and the flavors of winter are equally well known to us. Cinnamon, ginger, cherries, chocolate and peppermint remind us of winter classics like hot cocoa, gingerbread houses and candy canes. It’s not incredibly unreasonable that beer brewers would want to try to impart these flavors into their creations as well. This is evident in one of the most prolific beer styles of the season: the winter spice beer. However, because they are beer brewers, there sometimes comes a rather zany edge in the attempt to extract those winter flavors in a beer. 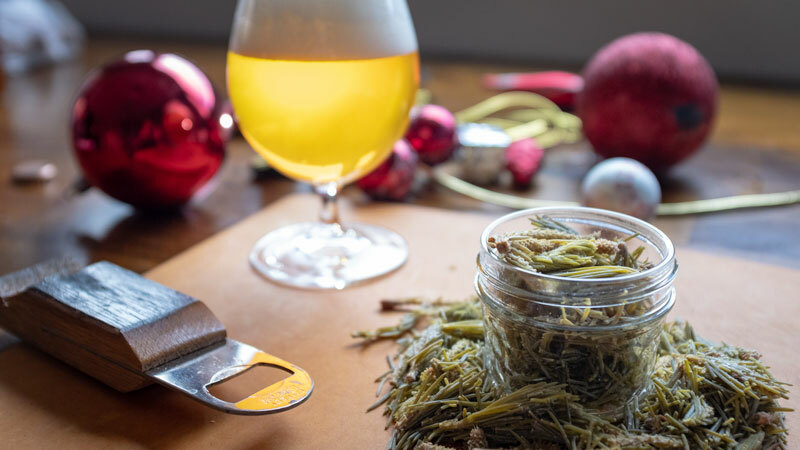 As we started to get hyped about the holiday season we thought we’d share some intriguing things that craft brewers have used to elicit the flavors of winter. Here are some of our favorites. Okay, so we’re kind of cheating a little to start out here. We’ve chosen to start our list with an ingredient combination rather than a single ingredient. Cherries are not a particularly unusual ingredient nor is honey. However, the two don’t often meet in combination (likely for fear of overwhelming sweetness), and one of the best examples of the combo is in a staple holiday beer, Troegs Brewing’s Mad Elf. Talking with Don Russel, who has penned a book on Christmas ales, Mad Elf is a beer that he personally comes back to year after year. According to Jeff Herb from Troegs, the idea for the Mad Elf was born in November 2000. The original concept had also been to barrel-age the beer, but that didn’t pan out, and initial brewing was further complicated by a near comical accident during fermentation. “Upon returning [to the brewery] days later, you could smell this really fruity aroma in the air. We ran back to the fermentation tanks and there was a foamy mess all over the ground. Nearly half the [Mad Elf] batch bubbled down a drain.” So, while these two ingredients might not be the most outlandish on our list, they are not exactly a commonplace combo and definitely can be finicky to work with. We raise a glass to Troegs for their continued efforts to bring us a beer that is, for many drinkers, a Christmas classic. Everyone go ahead and insert your figgy pudding jokes here. Figs have an obvious connection to the holidays, not only in the timeless, carol-centric dish but also in Southern Tier’s 2XMAS Ale. And while often mislabeled as a kind of fruit, these natural eccentricities are actually a unique entity known as a syconium. According to Amy Stewart in her book “The Drunken Botanist”, this means that the flowers of the fig’s plant are contained inside a hunk of plant flesh and this flesh is what we often think of as the fig. As they are not typical fruit, they are also not used often in beer brewing like typical fruits can be. However, they do make the occasional appearance (and most notably around the holidays) as they infuse a rich and sweet flavor that often reminds us of dark berries or the popular Newtonian cookie. And while it appears that not many have actually used any Fig Newtons in holiday beers, the fig is used every now and then with a rather impressive effect. There are few things that truly elicit that winter feeling quite like the simple mixture of chocolate and marshmallows. 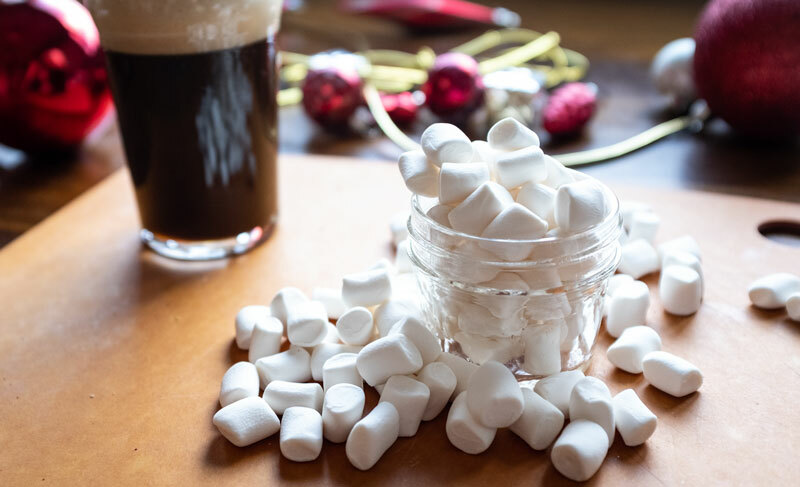 There was nothing better to warm up to after a long day of sledding outside as a kid than a cup of hot cocoa with a couple of marshmallows thrown in. Eventually, those kids grew up; and some of those grown-ups become beer brewers; and some of those beer brewers dreamt of putting together a grown-up version of that drink they loved so much. We could only assume that’s what the fine folks at Pollyanna Brewing were thinking when they concocted their Toasted Marshmallow Fun Size, or the brewers at Garage Brewing as they crafted their Marshmallow Milk Stout. While we’ve all heard of the nut brown ale, it’s fair to say that pecans were never really what most people had in mind along those lines. 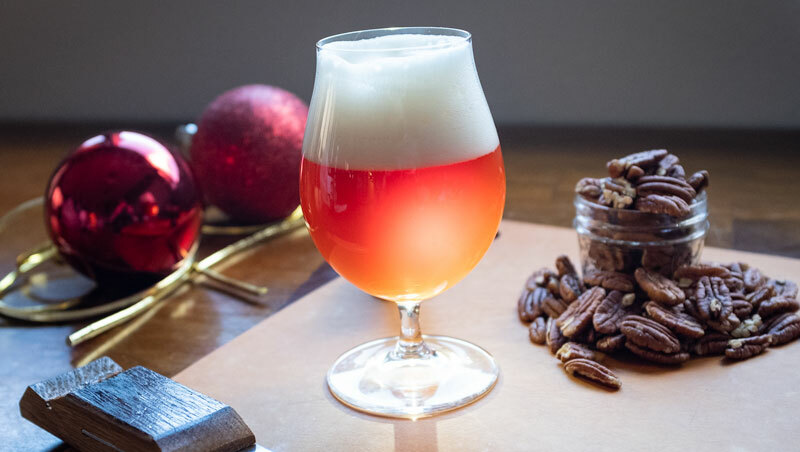 While we do admit that pecans aren’t an ingredient solely associated with the winter or holiday season, we’ve chosen to include them as they were a choice ingredient in a completely holiday-centric beer from Shiner, the aptly named, Holiday Cheer. Pecans are the only major tree nut that grows naturally in North America, and were commonly eaten and traded by Native American tribes. Despite the lack of their use in beers, the pecan is quite familiar in the American kitchen (and especially the Southern kitchen). Further, the National Pecan Shellers Association (yes, that is a real thing), estimates that the United States produces between 250 and 300 million pounds of pecans annually. I honestly can’t imagine what we could be using that many pecans for otherwise, so let’s use them in beer more! This ingredient has a fascinating history and an intimate connection to the holiday season. Really nothing represents the winter or holiday season quite like the snow falling and collecting on the branches of a mighty evergreen tree. Spruce trees, a member of the Pine family, are ancient creatures. According to “The Drunken Botanist” author Amy Stewart, the development of some of the 39 known species of spruce trees dates back to the late Jurassic Period (around 150 million years ago) and one individual specimen is thought to have a root system nearly 10,000 years old. Spruce is unique, producing Vitamin C among other nutrients, and early spruce beers were found to help prevent scurvy (along with lemons and limes) especially on board ships. Today, numerous breweries offer a spruce beer, including Yards Brewing in Philadelphia with their year-round spruce offering, Poor Richard, an homage to Benjamin Franklin. Spruce has that characteristically piney flavor and can be used to help bitter beer and compliment hop profiles. As a quick caution to intrigued homebrewers, only two specific spruce species have been approved as safe food additives by the FDA. Considering that the tree resembles other, poisonous tree species such as the Yew, please exercise caution and consult a professional before urban foraging your next brew. I’ll be honest: I wasn’t sure what persimmon was prior to researching for this article. I had certainly heard of it before, but I didn’t know if it was a spice, a fruit or an herb. So for those of you so uninitiated as I, persimmon is a fruit that grows on a tree. More specifically, the Farmer’s Almanac identifies two known species of tree that produce this fruit, the Oriental Persimmon and the American Persimmon. While there are significant differences between the persimmon fruit of these two trees (and a much more complex family tree that doesn’t bear going into here), in general, according to Russ Parsons of the LA Times, this is a sweet, honey flavored fruit. This sweetness plays nicely into the cinnamon and nutmeg of Bloomington Brewing Co.’s Persimmon Ale. 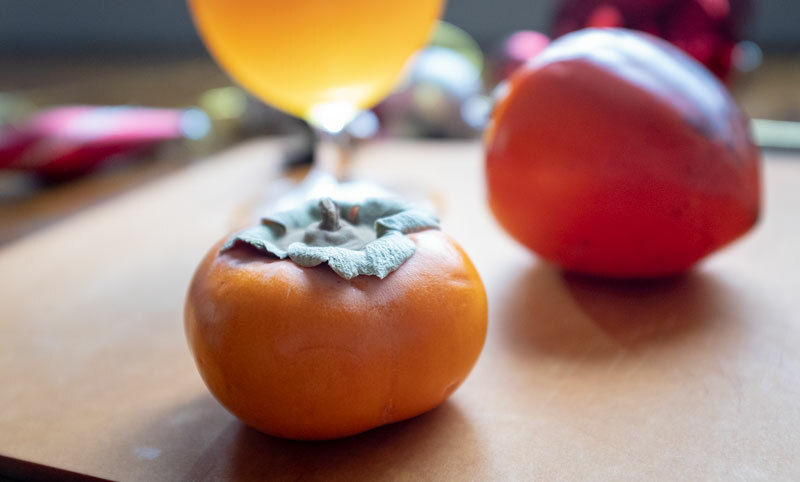 So even if you aren’t familiar with the legendary persimmon, and its use in folktales as a method for determining the severity of the upcoming winter, go ahead and try some persimmon in your beer. Think of it as a fun little holiday adventure. Let’s give a hearty round of applause to the evil geniuses over at The Lost Abbey. Their seasonal offering, The Gift of the Magi, took no prisoners in the fight to use the strangest ingredients and literally incorporated the actual reported gifts of the magi (to be fair, no gold was used in the making of the beer as the gold was meant to be represented by the golden color of the beer itself). Tragically, this beer is also a retired offering from the brewery. 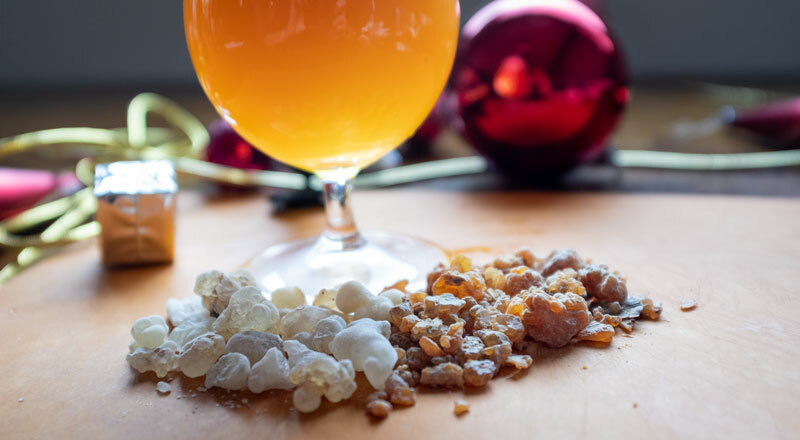 Adam Martinez from Lost Abbey reports, “It became quite problematic sourcing food-grade frankincense and myrrh, not allowing us to brew the beer during the timeline we needed.” This is a shame, but also perfectly understandable. From the Encyclopedia Britannica, frankincense is an incense or perfume that is obtained from a particular family of trees that are indigenous to Somalia, Yemen, Oman, parts of India and Pakistan. In a similar vein, “The Drunken Botanist” cites myrrh as coming from a rather dumpy looking bush that is native to Somalia and Ethiopia. The actual substance known as myrrh is a dried resin that is produced in the bark of this scrawny tree. Like frankincense, it was highly valued as a perfume and incense among ancient cultures of the region. Unique, sought after and downright bizarre, there was little question that this brew would top our list. 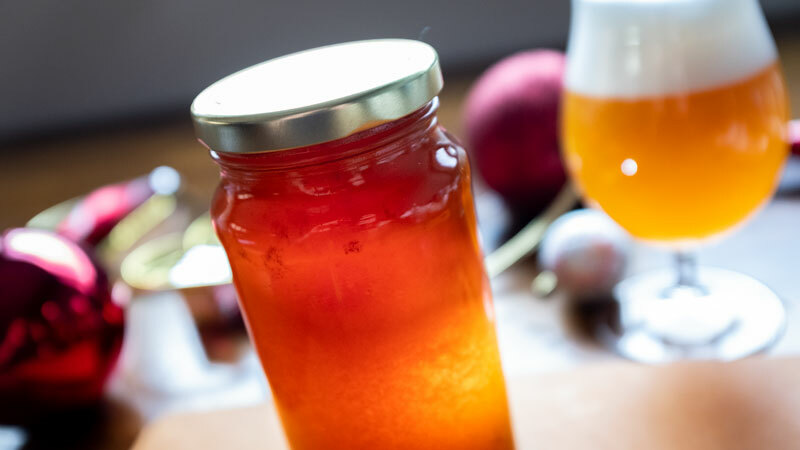 The post 8 Interesting Ingredients in Winter and Holiday Beers appeared first on CraftBeer.com.